The nationwide average price of diesel continued to climb, the fifth increase in as many weeks, according to the Department of Energy’s weekly report released Sept. 24. Trucking’s main fuel rose nationally by three-tenths of a cent, to $3.271 from $3.268. Diesel now costs 48.3 cents a gallon more than it did a year ago, when the price was $2.788. The average price of diesel increased in all but two of the 10 regions the Energy Department report monitors. Prices dropped in the Rocky Mountain region by eight-tenths of a cent, to $3.355 a gallon from $3.363, and by four-tenths of a cent in the Gulf Coast, to $3.052 from $3.056. The price of unleaded regular gasoline also is going up by three-tenths of a cent, to $2.844 a gallon from $2.841 the previous week. Ironically, prices dropped or remained the same in six of the nine regions of the country, but increases in the Midwest, the West Coast and West Coast excluding California were large enough to offset the declines. Experts in the oil industry told Transport Topics several factors are pushing up the cost of diesel, and it is unlikely the price will fall anytime soon. “Most of the increase can be attributed to crude oil, and in particular, international crude oil. On Sept. 24 at the United Nations, President Donald Trump said he wants “all nations to isolate Iran’s regime as long as its aggression continues” as part of a “maximum pressure” campaign meant to bring Iran back to the negotiating table to get a new, more comprehensive nuclear deal. But Iran’s oil minister said Washington needs to end its economic sanctions against Iran and stop interfering in the Middle East if the United States wants the price of oil to stop increasing. The president has called on other OPEC nations to increase oil production to offset any cuts coming from Iran. However, Kloza said it is not that simple. “We don’t have much spare capacity within OPEC. Here in the United States, we have spare capacity, but we don’t have the pipelines to deliver the oil to the coasts yet.” Kloza said more than 50% of the oil is refined at facilities on the West Coast, Gulf Coast and northeastern part of the country. Trucking industry consultant Randy Mullett told TT that he is telling companies he works with to look long term when it comes to fuel and not make decisions based on weekly price increases and decreases. 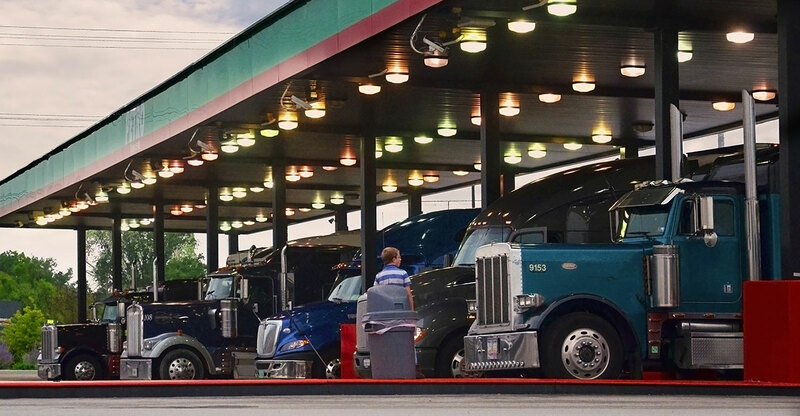 But Mullett said there are numerous other long-term factors a fleet owner must consider when it considers purchasing a truck that runs on a fuel other than diesel. Those include what type of trips will it make most of the time and will they be regional or longhaul? Does the company have, or will it be able to obtain, the alternative fuel on a regular basis? Mullett added that original equipment manufacturers are quickly seeing the value of producing trucks that run on fuels other than diesel. One fleet executive said managing fuel came down to striking the best far-reaching deal possible. Armellini is the largest American floral carrier specializing in nationwide, scheduled less-than-truckload and on-demand truckload services by a fleet of temperature-controlled equipment operating from principal ports, according to company data. It is a unit of Palm City, Fla.-based Armellini Logistics. Staff Reporter Roger Gilroy contributed to this story.